The England and Wales Cricket Board (ECB) has today announced that England cricketers, Charlotte Edwards, Heather Knight and Sarah Taylor will play state cricket in the Australian Women’s National Cricket League (WNCL) and Women’s Twenty20 (WT20) competition this winter. The trio, who will represent Western Fury (Edwards), Tasmania Roar (Knight) and South Australian Scorpions (Taylor), will play the first part of the WNCL and WT20 season from October to Christmas, before returning home at the start of January to resume training with the England women’s performance squad. 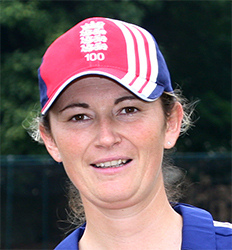 During her three month stay in Western Australia, England women’s captain, Charlotte Edwards, will continue to put her leadership skills to the test, having been handed the captaincy of the Fury side. 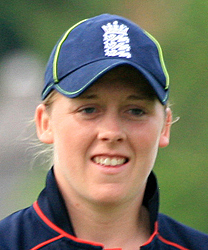 Sussex wicket-keeper/batter, Sarah Taylor, meanwhile will take care of things behind the stumps for the Scorpions, and 2013 Women’s Ashes Player of the Series, Heather Knight, will help to strengthen Tasmania’s batting line-up. All three England women’s players will be hoping that they can inspire their new teammates to usurp New South Wales Breakers as the team to beat, after the Breakers won an unprecedented ninth consecutive WNCL title in February this year. 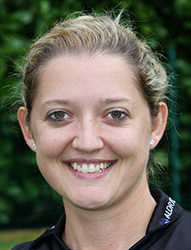 Commenting on signing for Western Fury, England women’s captain, Charlotte Edwards, said: “I am absolutely delighted that I will get to play for Western Fury this winter. I have so many fond memories from playing in the Women’s Ashes Test at the WACA in January; it will be brilliant to be able to call Perth home for a few months. The WNCL and WT20 involve seven Australian state teams that play each other in six rounds of matches from October to February. Since the inaugural WNCL competition in 1996-1997, New South Wales Breakers have won 16 titles, with Victorian Spirit the only other team to be crowned champions, having triumphed in 2002-2003 and 2004-2005. The WT20 was introduced in 2008-2009, and Victorian Spirit is the current form side in the shortest format of the women’s game in Australia, having won the WT20 title for the last three years. Editorial Note : This suggests there will be no England Tour prior to Christmas although there has been (to my knowledge) no official media release to that effect.